My want list is gathering lots of great looking titles, but there's still a bit of my current collection that is just sitting around not getting played. Largely this is because my primary gaming group is my wife and daughters, who simply don't enjoy a lot of these otherwise great games. So... I'm selling to the highest bidder in order to reinvest into games that they will play! Listed game conditions based on the Board Game Geek Condition Policy. I can provide pictures if requested. All games from pet / smoke free home. Each individual item will remain open for bidding until the cutoff date / time has passed AND there hasn't been a bid for at least 15 minutes. All bids must be at least equal to the "Start @" price and be in increments of $1 USD. The "Buy Now @" price may be used to immediately win the item up until the item ends. 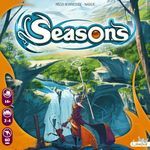 Per Geeklist Auction rules, all sales will take place via the BGG Marketplace (I'll help you if you're not sure what to do). I accept PayPal or postal money order and for international bidders will require some positive marketplace experience prior to bidding on my items. If picking up locally, cash is acceptable. If for some reason a payment falls through, I may offer the item to the runners up at my own discretion. I will be shipping all games via USPS flat rate boxes which means your price will be based on the box size as pictured above. International bidders will have a higher price (might want to google around a bit before bidding). Those who win multiple games can of course combine into a single box to save shipping, though I suggest saving enough room in the box for adequate padding. Local pickup is also an option. The general auction will close the evening of October 5th at 9pm Eastern US time. As per the bidding rules, individual items will remain open as long as people keep bidding. Bought new, played 3-4 times. Still in Like New condition. 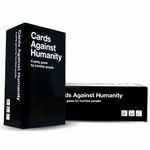 I couldn't find a card list to confirm the contents, but counted 90 black cards and 440 white cards. Will fit in a medium box with a good bit of room to spare. Bought new, played 2-3 times. Still in Like New condition. All components confirmed present. Will fit in a small box with no left over space. This is for a full playset (4 copies) of each common card in the Return to Ravnica block, including Return to Ravnica, Gatecrash and Dragon's Maze. Also includes roughly 100 of each basic land, all from Return to Ravnica. Also includes 4 copies of Jelenn Sphinx, an uncommon from Dragon's Maze. Bought new, never played. Counted them all when initially received and honestly don't feel like counting all these again... I'll compensate should any magically vanish when shipped. Will fit in a large box with some space left over that might fit a small box game or two. Received used, played 2-3 times. Still in Very Good condition. All components confirmed present. Will fit in a small box with room left over to fit Oz Fluxx. Bought new, played 3-4 times. Still in Like New condition. All components confirmed present. Will fit in a small box with enough room left over for No Thanks. Bought new, played once. Other than missing the shrink wrap, it's basically in New condition. All components confirmed present. Will fit in a medium box with no left over space. Received used, never played. Still in Like New condition. All components confirmed present. 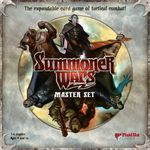 Will fit in a small box with plenty of room left over for other Summoner Wars faction deck and even another small box item. Received used, never played. Still in Very Good condition. All components confirmed present. Will fit in a medium box with lots of extra space. Received use, never played. Still in Like New condition. All components confirmed present. Doesn't fit in large box, so will have to rig up something custom for this one. 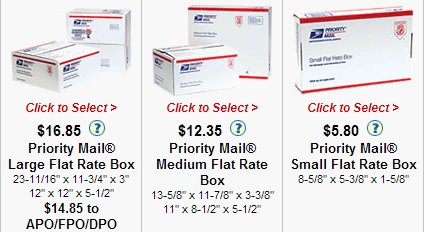 Expect shipping cost to be similar to that of the large box, if not a big more. Bought new, played twice. Still in Like New condition. All components confirmed present. Will fit in a medium box with space above it left over.